NEW YORK: Since departing her role as chair of Edelman’s business and social purpose practice three months ago, Carol Cone has been developing a collaborative consultancy focused on helping clients build purpose into their core business strategies. Cone will serve as CEO of her eponymously named firm, Carol Cone On Purpose, which is slated to launch in early September. The firm’s tagline is "ACT (analyze, conceptualize, and transform) on purpose." She explained that it is critical for brands and companies to demonstrate their humanity in a radically transparent world, so On Purpose has been created to help businesses be more human and engaged in social issues. "The challenges we have in the world are so great and there are tremendous opportunities for businesses to come up with solutions that are both revenue-producing and energizing for their employee population," Cone said. She added that brands have to remember that Millennials, who will become the largest generation, have "a totally different expectation of businesses, brands, and companies they are going to buy from, advocate for, talk about, or work for." Although more companies are trying to bring purpose to the center of their business and brand strategies, the issue is still in silos, and many new, young consultancies do not have real breadth and depth of experience on the matter, Cone said. To contend with this, she explained that her firm aims to bring a holistic solution to the individual needs of companies and brands through On Purpose’s network of "handpicked" experts. Carol Cone On Purpose will be made up of boutiques, agencies, creative consultants, Millennial gurus, and technology firms. "There will be at least a dozen members in the network, which will encompass all different levels of experts that I will orchestrate to provide custom solutions to clients," said Cone. "A client will come to us with a certain need, and we will bring in experts to analyze the challenge and begin to conceptualize the solution, and then help them amplify something they are doing or add something new they never thought of via our Idea Accelerator," she said. The Idea Accelerator, Cone explained, is one of the firm’s offerings, which involves providing clients with "curated, breakthrough" ideas to amplify their social commitment. Before embarking on her new venture, Cone worked at Edelman in various roles since 2010. Most recently, she was chair of Edelman’s business and social practice, where she focused on CSR, sustainability, corporate citizenship, purpose marketing and branding, and NGO marketing and development. In that role, she provided senior counsel to clients including Unilever, PNC Financial Services, Exelis, Healthgrades, the American Lung Association, and Quaker. Cone departed Edelman in April, a spokesperson from the agency told PRWeek. "We are grateful for everything [Cone] did and wish her well on her new endeavor," the spokesperson said, adding that Edelman expects to name Cone’s successor soon. Edelman’s global director of strategy and operations for the agency’s business and social purpose practice Jeremy Cohen has been handling Cone’s responsibilities in the interim. 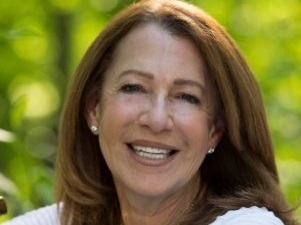 Prior to joining Edelman, Cone founded Cone Communications, where she served as chairman for 30 years. The firm built its reputation on consumer marketing and helping corporations and organizations build cause branding and corporate responsibility initiatives. Clients included the American Heart Association, Timberland, Avon, and ConAgra Foods. Cone Communications is now fully owned by Omnicom, which bought the firm in 1999.